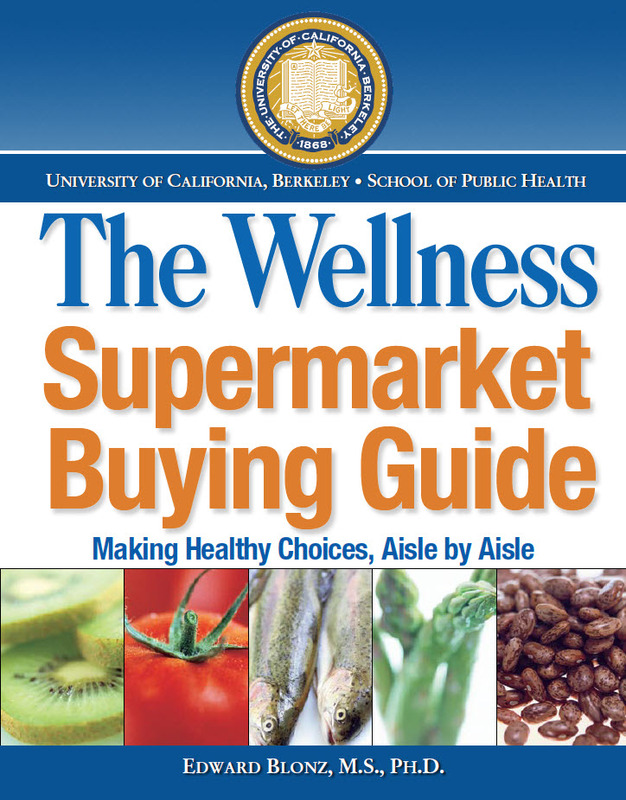 The Wellness Supermarket Buying Guide. Make the best choices from among the dizzying array of options you face. You'll find aisle-by-aisle practical advice on how to select foods that are healthier and more environmentally friendly - and on how to get out of the store faster and with more money in your pocket. OR click on book at right to purchase. Power Nutrition explains the building blocks of nutrition: protein, fat, carbohydrates, fiber, vitamins, and minerals--what they are, how they work, and how much of them you need to consume. Readers learn how they can avoid illness by eating properly and what role food plays in heart disease, cancer, obesity, and alcoholism. The most comprehensive calorie guide available, this guide is a complete nutritional evaluation of more than 10,000 foods, listing calories, fat, protein, carbohydrates, fiber, and sodium. Foods high in folic acids, antioxidants, and calcium are highlighted to help guide the health-conscious person to the best possible foods. 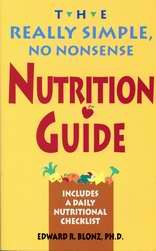 It also includes a state-of-the-art reference guide, and recommendations from an authoritative nutritionist on how to eat wisely and well. Dr. Blonz advises the most effective ways to naturally improve health, longevity, and weight control by eating more fiber, while simultaneously lowering the risk of heart disease and cancer. In this comprehensive, easy-to-use handbook, Dr. Blonz advises the most effective ways that antioxidants--the body's natural protectors--can reduce the risks of heart disease, cancer, strokes and immune disorders. Lists the fat, calorie, and mineral contents of more than three thousand common and popular brand-name foods, offering readers the information necessary to choose calcium- and mineral-rich foods for better health. When was the last time you refrained from buying a food product because it contained artificial ingredients? How do you feel when you see a long list of tongue twisting chemical names on the ingredient statement of a food you feed your family? Wouldn't you like to know what all those chemicals do and whether or not they are safe? Now you can with Your Personal Nutritionist: Food Additives, a handy, accessible guide that provides a comprehensive A to Z listing of over 300 of the most commonly used food additives.